Glen S. Bagby is a family law lawyer in Dinsmore's Lexington office. Glen has enjoyed a traditional wills, trusts and estates practice throughout his career. His practice includes all types of wills, trusts, probate, trust administration, powers of attorney, health care proxies and living wills, as well as more sophisticated revocable "living" trusts, credit-shelter and disclaimer trusts, qualified terminable interest trusts (QTIPs), irrevocable trusts of various types, dynasty trusts, personal residence trusts (QPRTs), grantor retained interest trusts (GRITs), grantor retained annuity trusts (GRATs), grantor retained unitrusts (GRUTs), charitable trusts of various types, asset protection, prenuptial agreements, post-nuptial agreements, buy-sell agreements, sophisticated gifting planning, and family limited partnerships. Since 1995, he has been selected annually for inclusion in the Best Lawyers for Trusts and Estates. 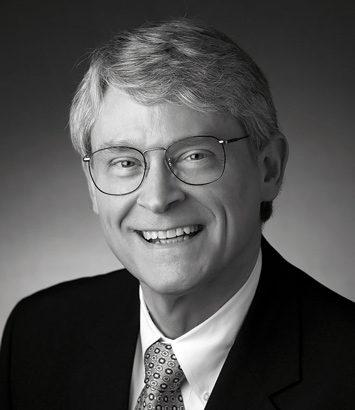 In addition, he has litigated cases involving trusts, wills, will contests, will construction, declaratory judgments, prenuptial agreements, post-nuptial agreements and related issues in Lexington and Louisville, and as far east as Ashland, Catlettsburg and Pikeville, and as far west as Hopkinsville and Trigg County, Kentucky. Since 2011, Glen has been included annually in Best Lawyers in both the Trusts and Estate area of practice of law, which includes estate planning, and also the Litigation - Trusts and Estates area of practice of law. For years, he has also focused his practice upon how estate planning techniques may impact upon couples who later divorce. He has accepted select divorce cases primarily involving estate planning steps taken during the marriage and the impact of trusts created and funded during the marriage, in a subsequent divorce. He has been selected by Best Lawyers for its publication under the topic Family Law for over two decades.